Connecting Hearts One Adoption At A Time! 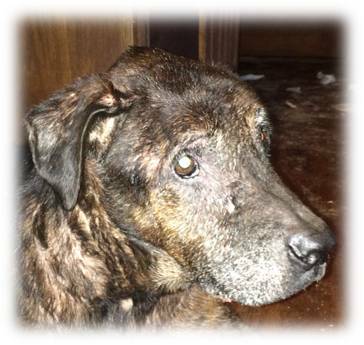 Occasionally, Happy Hearts takes in animals that due to old age, health issues, or behavioral issues are not adoptable. Of course we make every effort to overcome health or behavioral issues so those animals can find their own forever homes, but, Happy Hearts never gives up on any animal. So if for whatever reason adoption is not an option, then those animals live out their lives with Happy Hearts. Permanent resident also means permanent food and medical expenses. Please consider sponsoring one of our permanent residents with a monthly donation of $25.00. We will send quarterly updates on the animal you choose to sponsor, or we would love for you to visit in person as often as you like. Thank you for helping care for animals that would otherwise lose their lives simply because of their age or issues beyond their control. Hi, my name is Precious. 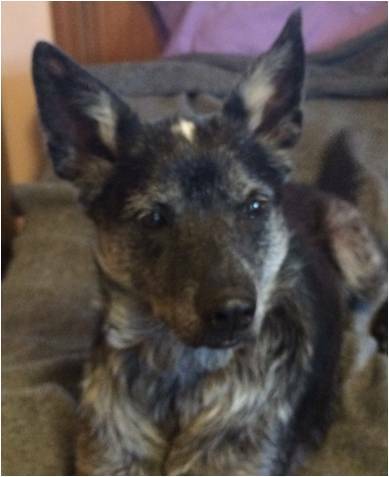 I’m a Cattle Dog mix. I was dropped on the side of the road 8 weeks old. The people ran over me as they drove away and I had a broken leg and concussion. Happy Hearts took me in and took care of me until I healed. I should have gotten a new home of my own as soon as I got better, but, then I developed a case of mange that I got from my mom and because my immune system was weak. I did get better, but every time I get really upset about something the mange starts to come back. Hi, my name is Lucy. 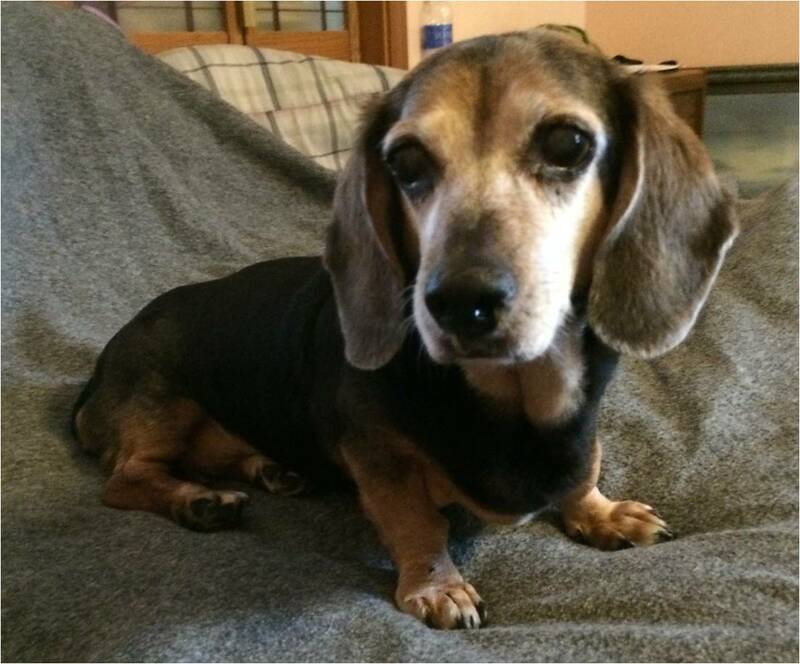 I am a 12 year old Beagle/Dachshund. I was left at animal control with the fourteen other dogs I used to live with. One-by-one all my friends got a new home and I was glad for them. Soon, I was the last one and I waited for my new home, but no one came. My breath smelled really bad and I had several cancer bumps on my mammary glands. Just when I was about to give up hope, Happy Hearts came and got me. A lot of very nice people donated money so I could have surgery. I had 7 teeth removed and my teeth cleaned. They are sparkly white now. I also had all those bumps removed off of my mammary gland. I had a long boo boo with stitches for awhile, but that’s all better now too. I love my new home. I run (well I go as fast as really short legs can go), I go for long walks and sniff everything, and play games with my new humans. I guess I’m a little spoiled, because I actually sleep in bed with them instead of in a kennel like most of the dogs. They told me I’m going to live the rest of my life here and I never have to worry again. As I snuggle close to my new mom and fall asleep, I know I’m safe. Hi, my name is Luke. No one knows why my owners left me at animal control. I guess it was because of my age, my skin allergies and or my weak back legs or hips. I was so sad at animal control that I gave up and wouldn’t even lift my head. Happy Hearts came and got me anyway. My skin allergies come and go and my hair gets thin sometimes, but it’s not a problem. I’m not very fast because my back legs or hips are weak, but I’m not in pain and I run as fast as I can with a smile on my face. Sometimes I seem to have problems with my teeth so now I get soft food. I never cause a problem and I show my Happy Hearts parents that I love them very much. I get excited when they hug me and tell me they love me. I love it here and I’m happy again. Copyright © Happy Hearts Animal Rescue Ranch. All Rights Reserved.